This 1 in anti-siphon vacuum breaker is designed to prevent the backsiphonage of contaminated water from entering into the potable water supply. It is ideal for low flow non-continuous pressure installations such as residential irrigation systems or laboratory equipment. 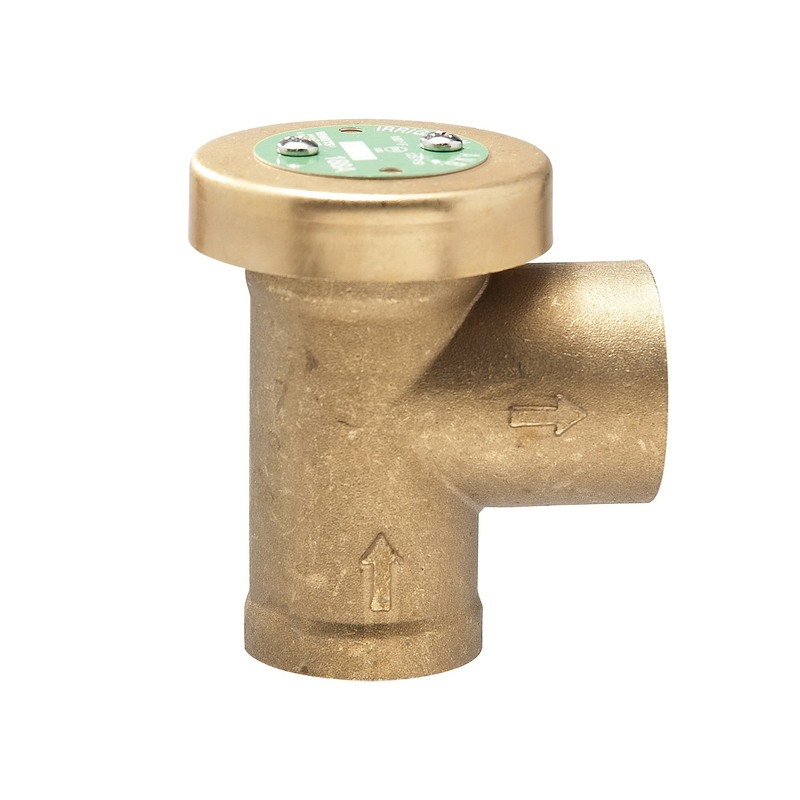 This vacuum breaker consists of a brass body with bronze internal trim, chemical resistant seat disc and an atmospheric vent to prevent spilling. The durable silicone disc is suitable for temperatures up to 180 deg F and ensures tight seating with the lightest of seating contacts. The maximum working pressure is 125 psi.